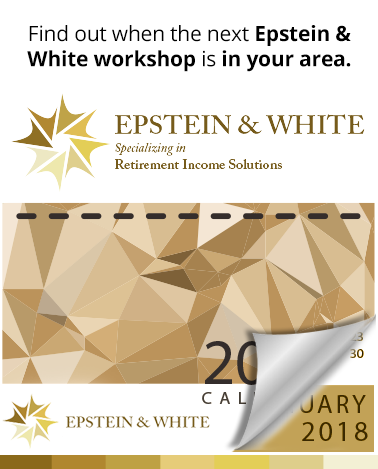 While there are many great investment and insurance companies out there that provide a lot of great products, Epstein & White Retirement Income Solutions recognizes that no one company can be the BEST in every area. When large corporations create and package their own investments, representatives who work for those companies are often limited to only being able to provide those products, or at the very least pressured into making a recommendation that is most profitable for that company. As an independent firm Epstein & White has the freedom to offer truly unbiased retirement planning advice that is centered instead around the profitability of our clients, without any conflicts of interest.